Perry M. Smith received his Bachelor of Arts Degree (honors) in Government and Policy Studies from Dartmouth College in 1980. He received his J.D. from American University (1984) and his LL.M. in Taxation from Boston University School of Law (1987). He has earned his Chartered Life Underwriter (CLU) and Chartered Financial Consultant (ChFC) (1986) as well as Certified Financial Planner® (1995) professional designations, and is a Licensed Insurance Advisor in the Commonwealth of Massachusetts (1995). He worked for U.S. Trust Company of New York (1980-1983) as a Trust Officer, the State Mutual Life Assurance Company (1984-1987), and the Law Department of The New England (1987-1990), as assistant counsel. He has worked previously with Commonwealth Financial Group (1990-1998) and Baystate Financial Group (2000-2006) as Director of Advanced Sales. 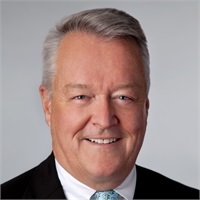 He also spent two years (1998-2000) as a partner at Carlin, Charron & Rosen Financial Services, LLC - the financial arm of the then largest regional CPA firm in New England. He specializes in individual, estate and business planning focusing on creative solutions to client goals and issues with a close eye on their tax implications. He is currently admitted to practice in Massachusetts (1985) and New York (1985), as well as Federal District Court (1986), U.S. Tax Court (1988) and U.S. Supreme Court (1989). In addition to his professional responsibilities, he has been [16 years] a part-time instructor at Boston University's Metropolitan College teaching CFP #6 (Estate and Business Planning) and [15 years] Treasurer for the Holt -Elwell Memorial Foundation, which supports a 112 year old 7-week summer boy's camp on Newfound Lake in New Hampshire. He resides in Wellesley with his wife, Eva Ribarits, Esq.